Believe in the inerrancy of the Bible– 1) The Bible was written over a period of 1600 years and has more than 40 authors. 2) The authors wrote it on three different continents in 3 different languages. 3) The authors penned their words with agreement and harmony 4) “The Lord spoke” is used 560 times in the first 5 books of the Old Testament (Pentateuch), and 3800 times in the entire OT. 5) Isaiah claimed that his message was from God 40 times; Jeremiah- 100 times; and Ezekiel- 60 times. The Bible is a library of 66 unique books of various kinds by many authors in different contexts over 1600 years. But it is only one book: the whole of it forms is a richly textured story of God’s loving purpose in relation to humans and the whole creation. Nonbelievers point to the story of Jonah as a fairy tale. However, when Jesus was asked by the Pharisees for a miracle, He pointed to the historical story of Jonah, who was swallowed by a fish, as quoted in Matthew 12:39-41. 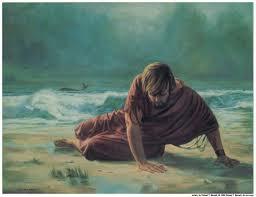 He predicted that He would be resurrected, just like Jonah. This gives great authenticity to the Bible, as Jesus said it was true! Was Jesus telling a lie? Of course not! Luke the physician was also very interested in historical accuracy of the Bible (Luke 1:1-4; he carefully investigated everything and wrote an orderly account- vs. 3). 2 Timothy 3:16 says “All Scripture is God-breathed and is useful for teaching, rebuking, correcting and training in righteousness, so that the person of God may be thoroughly equipped for every good work.” Our Christian faith rests on a precisely accurate account that gives authenticity to the Bible. The Bible is alive and active– Hebrews 4:12 For the word of God is living and active. It is sharper that any double-edged sword, it penetrates even to dividing soul and spirit, joints and marrow; it judges the thought and attitudes of the heart. 2 Peter 1:12-21 tells us the importance of remembering the truth of the Bible. The Bible’s authority is attested to–Peter was an eyewitness- vs. 16-19. Men spoke from God- vs. 20-21. Pay attention to its words and be alert!–vs. 19. Why was the Bible written the way it is? 1) people learn best from great stories and the Bible is “packed full” with them. From the combat of David and Goliath to Peter walking on water to Saul’s incredible conversion to Paul…. 2) we usually “don’t get it the first time” and the Bible repeats the numerous important principles again and again, thank goodness! 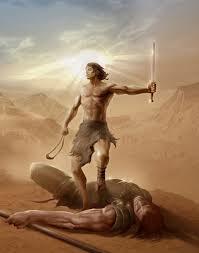 3) we like heroes and the Bible has many of them, like Joseph in the book of Genesis, Moses, Joshua, and Daniel! 4) we need to know that the story is important. What can be more important than the absolute truth of the Bible? There is nothing more important in your life than your salvation for eternity. Know the Bible!- Take a minute and review Nehemiah 8:1-18. After the wall around Jerusalem was built, attention was turned to spiritual needs. Understand the Scriptures- vs. 1-8. Respond to the Scriptures- vs. 9-18, Enjoy the benefits of the Scriptures– vs. 12. In 2 Timothy 3:14, Paul encourages Timothy to “continue in what you have learned and have become convinced of…how from infancy you have known the Holy Scriptures, which are able to make you wise for salvation through faith in Christ Jesus.” For parents and grandparents out there, make it your heritage to teach key Bible verses to your children and grandchildren! We should know the wisdom of the Bible as well as we know our secular jobs, which required years of study. Memorize the Scripture– 2 Peter 3:2 Peter wants growing Christians to recall the words spoken in the past by the holy prophets and the command given by our Lord through your apostles. Memorizing key verses should start early in life, and don’t let your aging mind stop you! Age is an excuse sometimes used to be lazy. Benefits of knowing the Word of God– Psalm 119: 1-4 There are benefits and blessings of studying/meditating on the Scriptures! Psalm 119:11 I have hidden your word in my heart that I might not sin against You. Jeremiah 15:16 When Your words came to me, I ate them; they were my joy and heart’s delight. 2 Peter 1:19 We have the Word of the prophets (the Scripture) made more certain, and you will do well to pay attention to it, as to a light shining in a dark place, until the day dawns and the Morning Star rises in your hearts. Until Christ returns, we have the Scriptures to guide us in the absolute truth. The Old Testament was frequently quoted in the New Testament– It is important to note that Jesus and the apostles quoted the Old Testament over 600 times, indicating their approval of the selected texts. It is with utmost confidence, then, that we can accept the Old Testament as God’s divinely inspired Word, and not just the New Testament. The Words of the Bible are eternal– Isaiah 40:8 The grass withers and the flowers fade, but the Word of God stands forever. Our lives are fleeting but the Bible isn’t! The Bible is authentic, authoritative, and absolutely true. The Bible teaches us to trust– Romans 15:4 For everything that was written in the past was written to teach us, so that through endurance and the encouragement of the Scriptures we might have hope. Reading and studying the Scripture will increase our trust in God’s will for our lives. Be prepared to share the Gospel at anytime– 2 Timothy 4:2 Be prepared to share the Gospel “in season” and “out of season”. Often times, we feel ill-prepared to share because we haven’t studied the Scriptures. We should study the Bible like we would a textbook. References: 1) Life Application Bible, NIV version, 1991 2) The Evidence Bible, Kirk Cameron and Ray Comfort, 2003. This entry was posted in Basics of Christianity, Memorize Scriptures, The Bible and tagged Bible, Christ Jesus, inerrancy of the Bible, Jonah, New Testament, Old Testament, Scripture. Bookmark the permalink.